There are those who are twisting themselves into a pretzel trying to defend the words of Bergoglio and the text which he signed with the Grand Imam of Al-Azhar. They will write and say that, "God's "permissive" will is what Bergoglio has referred to here and therefore, everything is just peachy. No, sorry. Not good enough. God has permitted these religions but he has not "willed" them. They are the opposite of God. While some may hold a glimmer of truth, none except pre-rabbinical Judaism and Catholicism could ever lay claim to the truth. Our Lord Jesus Christ. whilst He was on earth said, "I am the Way, the Truth and the Life, no one comes to the Father except through Me." Bergoglio has called Jesus Christ a liar. It is time to call out, no! it is long past time to call out this Bergoglio as an apostate and a heretic. We suffer and our bishops are silent. From John Paul II the Great, to Francis the Greater. But I have far more respect for Bergolio the apostate than I ever will for the entire majority of the bishops and cardinals sitting back twiddling their thumbs. The heart and soul of our Faith is the historical struggle against the Mohammadan enemies of Christ. A thousand years we fought them. Crusade after glorious Crusade. Civilization itself was born out of the small, happy defensive band led by Don Juan of Austria against the gathered might of the Mohammadan empire, its invading armies and navies gathered at Lepanto, prepared to strike Rome itself; sack the city and take our Pope prisoner. Conflict between Christ and His enemy. Never ending conflict until Lucifer is bound in chains, (St. Michael defend us!). We have always known Muslims are our mortal spiritual enemy. Always. Pope Francis' namesake, St. Francis, dared to cross enemy lines to preach and convert the Sultan of Egypt. He brought the Cross of Christ and the saving Gospel necessary for salvation. That is what we do. 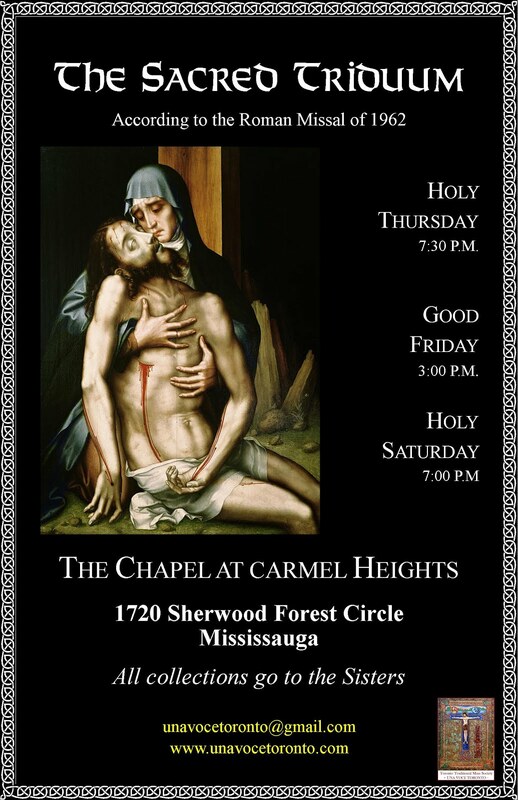 Beginning, middle and end: the precious, saving Cross of of our Lord crucified and risen. That is the only thing that matters on this earth. Everything else in life revolves around it like planets in orbit. That is our Catholic message to every "religion", man, woman, child on earth. How ridiculous and evil a husband, who showers prostitutes with gifts and praises, while his good and beautiful wife is daily abused and neglected. Bergoglio seems to me a pope who would rather not hear and speak of Jesus Christ, and would not kneel before Him, while he grovels before worshipers of false gods. You're right, but try getting an answer to the question as to how this is in ANY WAY coherent with the identity and role that the Church has always claimed for Herself. Good news is that when the local parish is used as a mosque for weekly services for the local islamic community (sharing and fraternity you know) then nuns will be forced to be veiled again. So as not to offend. The Bergoglio loves kissing men!! Catholic media when commenting on the "Document on Human Fraternity for World Peace and Living Together” do not mention how Vatican Council II , the Catechism of the Catholic Church and other magisterial documents affirm the strict interpretation of the dogma extra ecclesiam nulla salus (EENS) and that there are no known exceptions.The Church teaches in these magisterial documents that there are only Catholics in Heaven. They have not mentioned it since they do not believe in it or do not understand it, yet. Diane Montagna at LifeSitesNews does not cite Ad Gentes 7 which says all need faith and baptism for salvation.She does not quote the blue passage and mention that the red passage refers to invisible and hypothetical cases and so does not contradict the blue passage. (BLUE)Therefore, all must be converted to Him, made known by the Church's preaching, and all must be incorporated into Him by baptism and into the Church which is His body. For Christ Himself "by stressing in express language the necessity of faith and baptism (cf. Mark 16:16; John 3:5), at the same time confirmed the necessity of the Church, into which men enter by baptism, as by a door. (BLUE) (RED)Therefore those men cannot be saved, who though aware that God, through Jesus Christ founded the Church as something necessary, still do not wish to enter into it, or to persevere in it." Therefore though God in ways known to Himself can lead those inculpably ignorant of the Gospel to find that faith without which it is impossible to please Him (RED)...-Ad Gentes 7, Vatican Council II. If all religions are willed by God, was there any real need for Christianity? "We have always known Muslims are our mortal spiritual enemy." - true. But even more dangerous are talmudic jews who are more intelligent and even more hostile. They lead the new world order, of which the novus ordo is merely a part. ... And we will continue to suffer for a while yet. Silence is its own response. the influence not to speak of it. The reason the Mass was mutilated was to make it acceptable to non Catholics, the Papacy will follow,, the two bones of contention with Protestants has always been the Sacrificial aspect of the Mass and the Primacy of the Pope. The other hurdle is devotion to the Virgin Mary, and her Immaculate Conception,their already chipping away at that. Truly I find this the most horrific public act by any pope EVER. Some are trying to use pretzel logic to say that Francis only meant "permissive will" but not "will will." This is absurd logic which no other member of any other faith will folloe. Francis is fully pushing the new world order masonic agenda which totally contradicts everything the Church has always taught. And these priests, clergy do NOTHING!! Aaaaagggghhh... I want no part in this... valid sacraments in a new world order masonic monster church??? Really? I'm beginning to wonder. It is likely that PF is a willing and compliant tool of Bilderberger Cardinal Parolin. 'Hey, I'm just following orders!' Didn't Parolin attend a Bilderberger meeting last year, where he likely received his orders to not only compromise common sense but to negate Christian Doctrine and align the Church with its mortal enemies. Of course I, like the rest of us, can only guess but we can be sure there is a lot of string-pulling going on. @William Callaghan: The kiss of Judas might seem like a friendly gesture, if taken out of context from what it meant to accomplish. It can be a sign of peace, or betrayal. Similarly, the kiss in the cheek of our Pope upon their Imam, along with the letter of accord, signifies something; and it is profound. And it is not the power of Jesus Christ crucified, risen, reigning to draw all people unto Himself as the Way, Truth, Life; *No man come th to the Father but.by.Me*. At the name of Jesus every knee must bow, in heaven, on earth, under the earth, every tongue confess, that Jesus Christ is Lord to the glory of God the Father ... in this life or the next, it will be so. The Muslim god is not God. They are deceived. They must be told, like St. Francis did. There is no answer to that. Except (of course) "close it down". I couldn’t agree with you more, Bill. This blog is not put out by the Vatican or the pope, the only possible way it could be a "disgrace to the Church". The Church as it is headed by Bergolio is the disgrace, as are the sodomites and heretics and weaklings on the payroll. Perhaps you intended to say that. This blog makes it possible for uninformed folks to wise up and wised up folks to fellowship with a community, most worthwhile. This blog does a tremendous service to those who visit here. 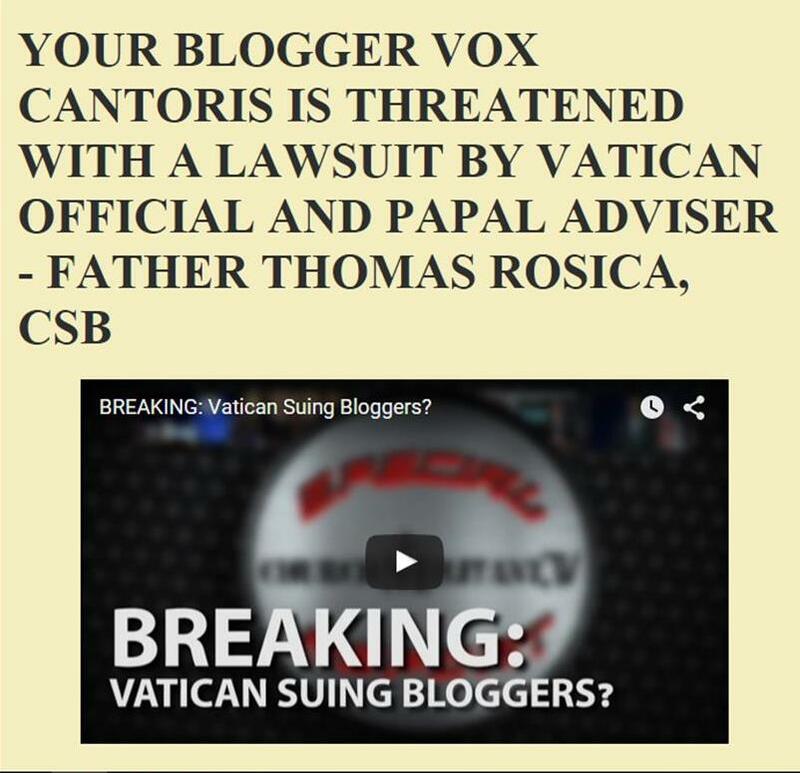 God bless our friend Vox and all faithful bloggers. Thank you, Kathleen; and May God bless you. Thank you, and you as well. Sincere thanks for all you do. I would dearly miss this blog and I'm sure many feel that way. We've got so few friends. If you want to know how this nonsense got started, read this piece I wrote for "The Remnant."